From the producers of The Lion King and Aladdin, Disney's Frozen, the Tony-nominated Best Musical, will play an exclusive 11-week premiere engagement at Broadway In Chicago's Cadillac Palace Theatre (151 W. Randolph) beginning October 21, 2020, with performances playing through January 3, 2021. 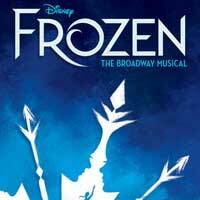 Frozen is melting hearts on Broadway in an all-new production created for the stage by an award-winning team. It features the songs you know and love from the original Oscar-winning film, plus an expanded score with a dozen new numbers. The creative team at its helm has a won a cumulative 16 Tonys and includes Oscar winner Kristen Anderson-Lopez and EGOT-winner Robert Lopez (music & lyrics), Oscar winner Jennifer Lee (book), Tony and Olivier Award winner Michael Grandage (director), and Tony winner Rob Ashford (choreographer).